A new documentary on the History Channel presented the theory that Amelia Earhart survived her crash landing, was taken prisoner in Japan, and the American government has worked for years to cover it up. This theory was largely supported by a single photograph, which a blogger seems to have unearthed in the Japanese national archives, immediately disproving the whole thing. Yamano ran an online search using the keyword “Jaluit atoll” and a decade-long timeframe starting in 1930. The documentary interviews retired US treasury agent Les Kinney, who found a version of the undated image in the U.S. archives and used it to support the idea that Earhart and her navigator Fred Noonan ended up on the Marshall Islands and were killed by the Japanese, though their journey predates the beginnings of WWII. 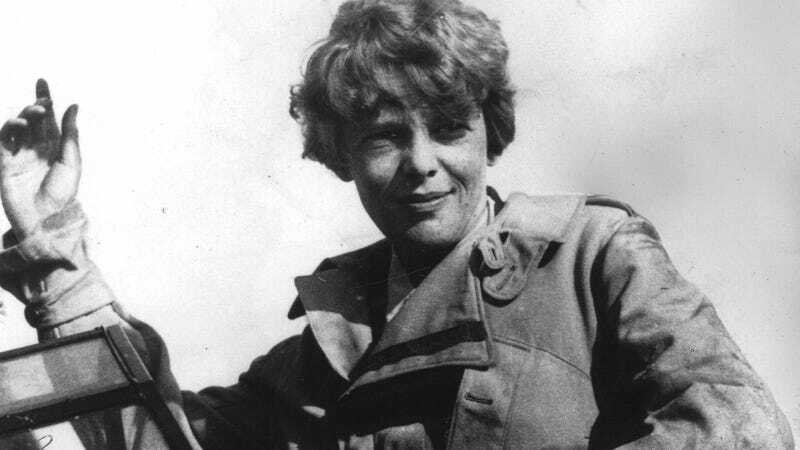 Other Earhart obsessives have long contested this conspiracy theory, which has been around for decades. Such as Ric Gillespie, executive director of the International Group for Historic Aircraft Recovery, who told The Guardian that even aside from the blurriness of the figures being described as Earhart and Noonan, the harbor visuals indicate that the photo was likely taken in the early ‘30s or late ‘20s. But who knows what new evidence will still arise! There must be more to this Earhart thing, right? Unless she’s been dead for 80 years on an island in the Pacific?